Why am I not suprised that of the two movies banned in the US, one of them is about Scientology. The Profit is a feature film written and directed by Peter N. Alexander in 2001. Little seen, it is notable primarily because worldwide distribution of the film is prohibited by an American court order, the result of a lawsuit by the Church of Scientology. 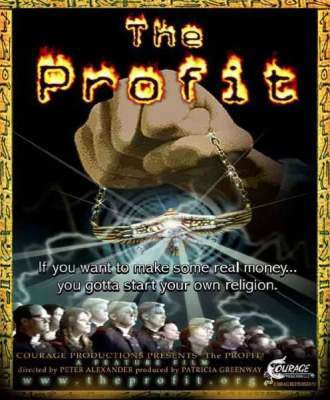 The Profit is one of only two films currently banned in the United States. The other film is Superstar: The Karen Carpenter Story, for copyright infringement. 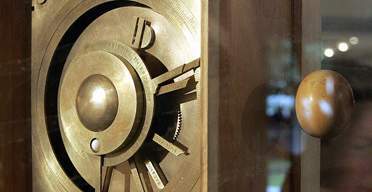 Notwithstanding the fictional elements of the film, the Church of Scientology took legal action against the film makers after a handful of test screenings in Florida. The Church claimed that the film was intended to influence the jury pool in the wrongful death case of a Scientologist, Lisa McPherson, who died while in the care of the Church of Scientology in Clearwater, Florida. In response to the lawsuit, Pinellas County, Florida, Judge Robert Beach issued a court order in April 2002 banning The Profit from worldwide distribution for an indefinite period. As of 2006, the ban still stands; the film has yet to be released to the public. A perfect gift for those with loved ones in the military or those who just like throwing money away. Ultimate Body Shield is a supernatural medallion and prayer that will put your loved ones away from harm and danger. It will protect them from virtually any life threatening or deadly weapons in Iraq or Afghanistan. It sounds too good to be true. But itâ€™s the truth. These are actual prayers that Jesus Christ and our Virgin Mary used when they were here on earth. These prayers are being used by my family for three generations and work really great. My grandfather used it and my two uncles used it. I personally have been using them for over 30 years on a daily basis. Its so powerful that even after 34 years of using them, I am still amazed how it does great wonders. It will not protect you from natural illness like cough or cold, diabetes, hypertension or cancer. This will supplement your bullet proof vest or body armor. In fact, its better than either one of the above. How much is this Ultimate Body Shield ? In fact, I cannot sell it to anyone. But I am requesting a donation of $50.00 per medallion. Thats very cheap for 24 hours a day of protection, 365 days a year. This protection does not stop after your tour of duty of one year. Unlike computer electronics that become obsolete after one year, this remains usable and powerful in your lifetime. Unlike electronics battery that requires at least 16 hours to fully charge the battery, it only requires minutes of your time every night (Simple 2 to 3 minutes of supernatural prayers). How to order? First, copy your military ID and include it with your check or money order of $365.24 payable to ULTIMATE BODY SHIELD. Due to the delicate nature of this subject, I need your military ID for proof of US military service. Certainly, we donâ€™t want this elite protective shield falling into the wrong hands (our enemies). 10 Zen Monkeys has a post with five videos of animals attacking reporters. Above is Pinky, the loving cat.